Tattoo artist who has been featured on Miami Ink and LA Ink. She is also an author whose book High Voltage Tattoo ranked in the top 10 on the New York Times Best Seller's List. She dropped out of high school at age sixteen in order to pursue a career as a tattoo artist. 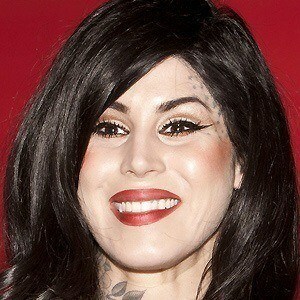 She launched a makeup line through Sephora in 2008. She became a proponent for animal rights. 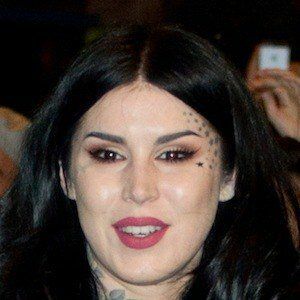 After her marriage to tattoo artist Oliver Peck, she dated prominent figures like Nikki Sixx and Deadmau5, the latter of whom she was engaged to until they split in June 2014. She dated Steve-O from 2015 to 2016. She married singer Leafar Seyer in February 2018. They had a baby boy in 2018. She appeared alongside Ami James on the popular TLC series Miami Ink.